Immerse yourself in week long programs in science, technology and art in a dynamic and fun learning environment. Our passionate team of instructors offer engaging workshops which mix artistic elements into subjects like anatomy, physics, electronics, engineering and more! Many activities are available independently, or save and sign up for full week long programs! April Vacation Week (4/16-4/20) Details Coming Soon! July, 7/23-7/27 and 7/30-8/3, Details Coming Soon! August, 8/6-8/10 and 8/13-8/17, Details Coming Soon! Join Technocopia for four full days of activities during February vacation. To complete enrollment, parents/guardians must fill out this registration form which collects important information regarding you and your child. All programming for ages 11-15 is available at the reduced cost of $180, and for ages 8-11 the reduced cost of $65 . Please note that we only have full day programming for some age groups on 1 or 2 days. Activities are also available for individual sign ups at the costs listed below. Students in this two day morning workshop will learn how to design and build a small tabbed laser cut box. 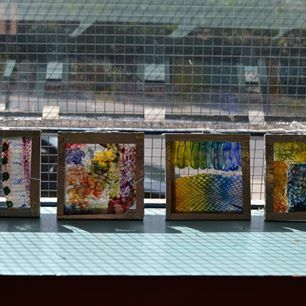 The workshop group will learn how to create 2D vector images using free Inkscape software, and boxes will be cut and engraved on wood with Technocopia's Full Spectrum laser cutter. This is a great introduction to the digital design and fabrication process from the ground up! Students will use natural and craft items to create a dazzling light catching hanging ornament. Many items from the natural world, like insect wings and snake skins and some select items from craft stores included! 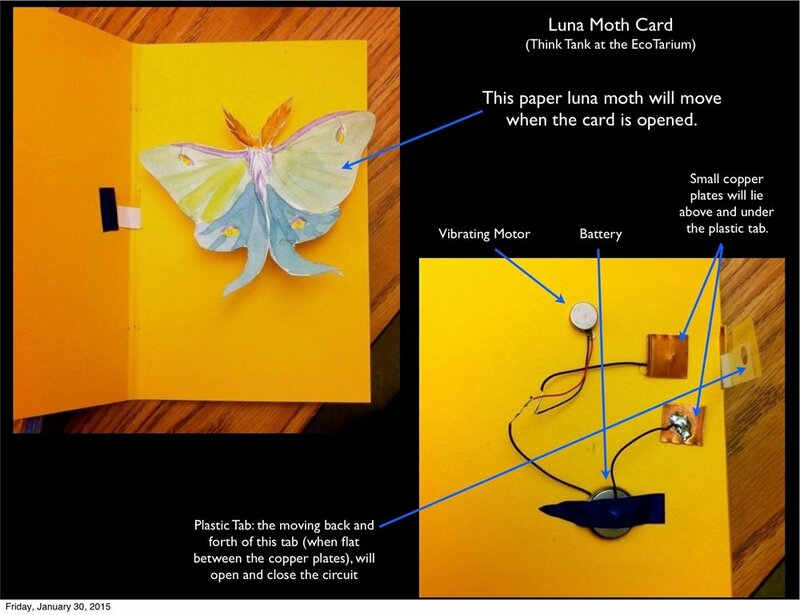 Create circuits using copper tape, LEDs and colorful craft paper! An easy introduction to electronics with a lot of creative license! *Pastes in this laboratory are meant for experimentation and education and not for consumption. THIS EVENT IS CANCELED. Please look at Friday's sticker workshop, 1-4pm below. Make your own customizable vinyl stickers! Using the 2D design software, Inkscape, and Technocopia's Roland vinyl cutter, students in this workshop will learn how to design and personalize graphic and text elements for stickers. All participants will leave with 1-2 of their own unique stickers, easily transferable and applicable to many surfaces! This workshop is designed for ages, 11-15. April Vacation Week, (4/16-4/20) Details Coming Soon!